A list of reports, articles, or published letters that discuss asset management. Are councils getting the right information about their most critical assets to effectively manage them? Our museums and galleries play an important role in collecting and preserving irreplaceable heritage assets. Unsurprisingly, auditors take great interest in how these assets are valued. August 2017: This report brings together some reflections from our work under our work programme theme Investment and asset management. We encourage decision-makers to think about the matters raised in this report. Although aspects of asset management are done well by some public entities, there are significant issues to be addressed and challenges to meet if public assets are to continue to deliver the services that New Zealanders expect over the long term. July 2017: The school property portfolio, valued at about $14 billion at 30 June 2016, is one of the largest publicly owned portfolios of property assets. For this report, we looked at the effectiveness of the Ministry of Education’s property strategy and its role as an asset manager, including how well it plans, monitors, and reports on its performance against the strategy. June 2017: We looked at how electricity distribution businesses were managing, maintaining, and investing in their networks to ensure that they could provide services to consumers for the long term. February 2017: This report considers the effectiveness of investment in tertiary education sector assets to support educational success. There is an opportunity for education agencies, tertiary education institutions, and other stakeholders to explore the measurement of the effectiveness of investments in assets, and the potential opportunities for more sector-based investment decisions. We hope that this report will start conversations in the tertiary sector about the further development and reporting of a range of cost-effectiveness measures and tools, for the sector and for individual institutions. June 2016: We found that standard asset management practices, like knowing, monitoring and reporting on the condition and performance of assets and having integrated asset, service, and financial plans do not seem to be standard practice for more than half of DHBs. We also found that, since 2009, fewer than half of DHBs showed indicators of asset spending and building up money to pay for future assets at levels we think characterise good financial and asset management. March 2016: This report discusses the increasing significance of public sector financial assets and, using a sample of public entities, reviews how these assets are being managed and governed. 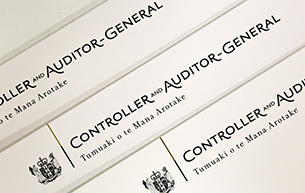 Health sector: Results of the 2010/11 audits.